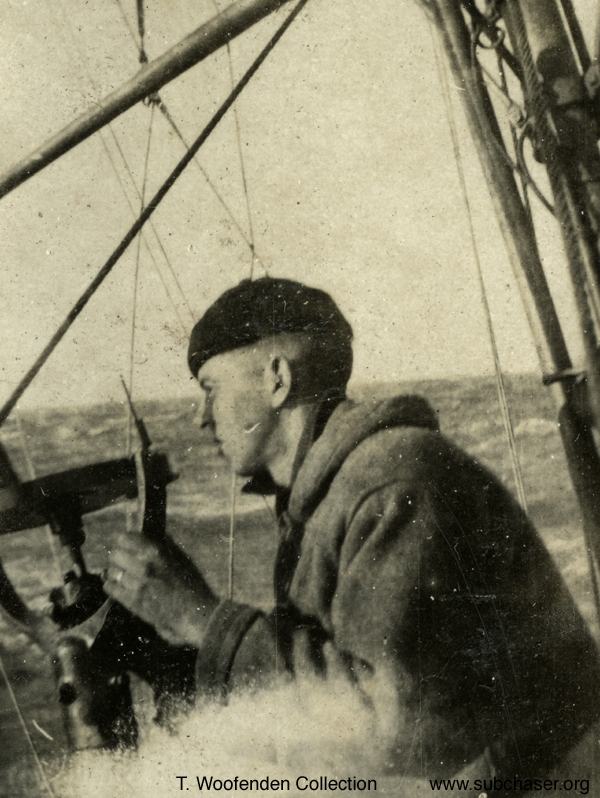 Crewman operating pelorus on SC 254. T. Woofenden Collection. The three predominant devices on the flying bridge were the bearing indicator, the signal light and the pelorus. This is the only close-up photo of the pelorus on a chaser that I have seen. In many photographs, the stand is in place, but the device itself is either covered with canvas or is not in place.